one of the perks of our job is that we often times get sent the latest beauty products to try. some of them we actually get to try, some we give away to people who we think have better use for them. (many years ago, we actually gave jessica zafra a jar of mattifying lotion because she once complained about her shiny T-zone.) here's a bunch of products we received in the last couple months. we can't really review them because we haven't tried all of them, but we thought these were the most interesting (and innovative) of the bunch. l'oréal revitalift face, contours & neck: it says that one's age can be determined by one's neck. that is, if the women who get regular facelifts forget their necks. fixing the neck can be done, you know. in the meantime, use this to firm and lift the neck, as well as the jawline—now there's something we're worried about. our once-angular jawline is beginning to soften and sag! 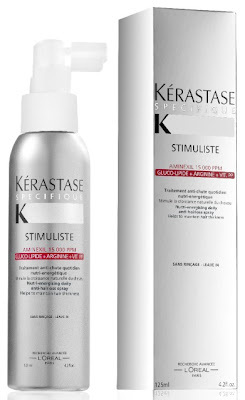 kérastase stimuliste anti-hair loss spray: do you know that some women actually suffer from hair loss?? we thought we were pretty safe because our dad has a full head of hair, but just recently our mother started noticing the start of a bald spot! ack! so we gave her this product to try. and we hope we never have to try it too. 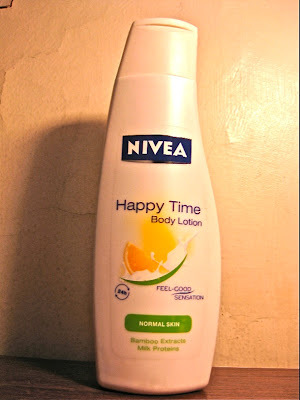 nivea happy time body lotion: the name alone will make anyone want to try it. and the TV advert is equally infectious. imagine a a body lotion that can make you happy! we sure as helllllll need that! 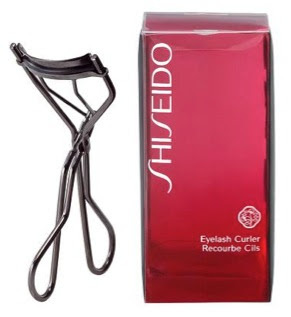 shiseido eyelash curler: the problem with most eyelash curlers is the shape—they're rounder and therefore not made for asian eyes. but since shiseido is a japanese brand, you can be sure it had asians in mind. this one we've actually used and we love the way it curls. so happy with this. the body shop love etc... body wash and body lotion: there's nothing special or unusual about this (although it is a limited edition), we just love the packaging! butter london nail lacquer: this was recently launched via a hand and foot pampering session at nail spa. with butter london as the final touch, of course. what makes this different from other brands is that it is "3 free," meaning it contains no formaldehyde, toluene or DBP (dibutyl phthalate), three common toxic chemicals found in nail polish. well, whatever, but we're happy to report that the polish lasted a full week—and that's what's really important!